“Parc Mawr is an ancient woodland dotted with impressive veteran trees. Visit in spring for a fantastic display of bluebells and other spring flowers, or at any time of year to enjoy panoramic views across the Conwy valley.” Woodland Trust. This 84 acre reserve needs a bit of tlc in order to keep its footpaths accessible to walkers, and our help will go a long way. 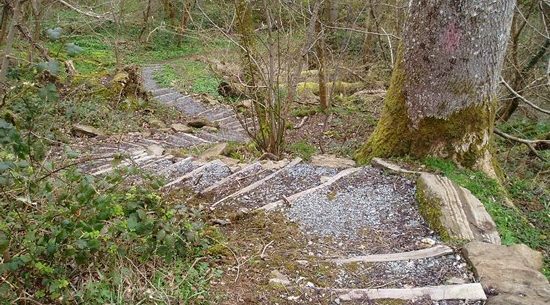 Come and learn some footpath maintenance techniques and to enjoy Parc Mawr and discover a site that you’ll undoubtedly want to visit again.